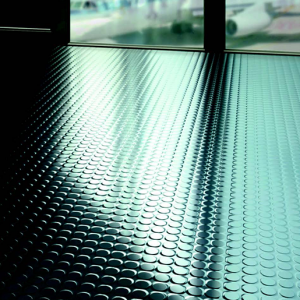 Rubber flooring with hammered surface Produced in rubber flooring tiles, in a wide range of colours, sizes and qualities to meet the functional and aesthetic requirements of designers. Special qualities are available for specific needs such as protection from electrostatic charges; for oil and grease resistance and for particular levels of fire resistance. 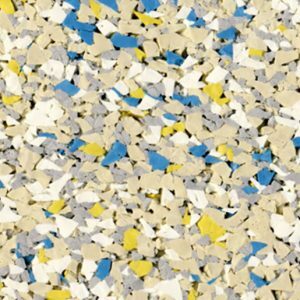 Rubber flooring with hammered surface with multi-coloured granules and roughened underside for adhesive bonding. 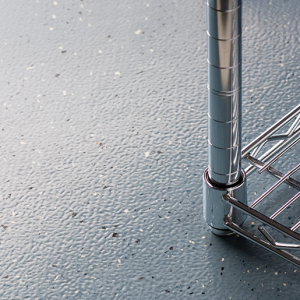 Rubber flooring with hammered surface Produced in rubber flooring tiles, in a wide range of colours, sizes and qualities to meet the functional and aesthetic requirements of designers. Special qualities are available for specific needs such as protection from electrostatic charges; for oil and grease resistance and for particular levels of fire resistance. 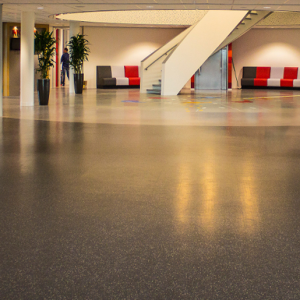 Rubber flooring with hammered surface with tone on tone granules and roughened underside for adhesive bonding. 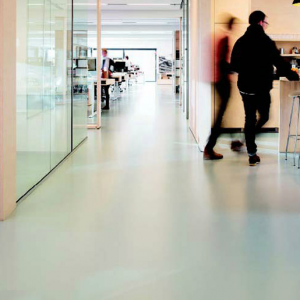 Rubber flooring with lightly textured surface Produced in rubber flooring tiles, in a wide range of colours, sizes and qualities to meet the functional and aesthetic requirements of designers. Special qualities are available for specific needs such as protection from electrostatic charges; for oil and grease resistance and for particular levels of fire resistance. Rubber flooring with lightly textured surface to create matt effect finish in solid colours and roughened underside for adhesive bonding. Rubber flooring with textured surface in solid colours with cork chips Produced in rubber flooring tiles, in a wide range of colours, sizes and qualities to meet the functional and aesthetic requirements of designers. Special qualities are available for specific needs such as protection from electrostatic charges; for oil and grease resistance and for particular levels of fire resistance. 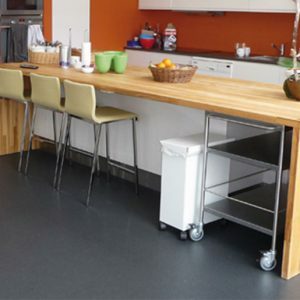 Rubber flooring with textured surface in solid colours with cork chips to create a natural effect finish and roughened underside for adhesive bonding. 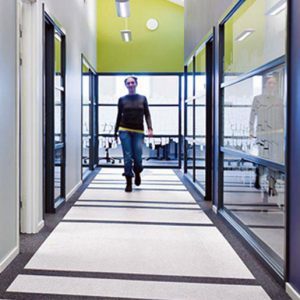 Rubber flooring with round studded surface Produced in rubber flooring tiles, in a wide range of colours, sizes and qualities to meet the functional and aesthetic requirements of designers. 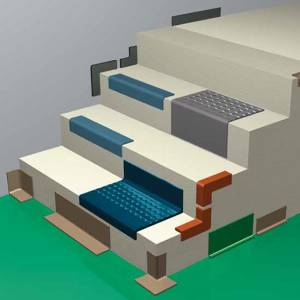 Special qualities are available for specific needs such as protection from electrostatic charges; for oil and grease resistance and for particular levels of fire resistance. 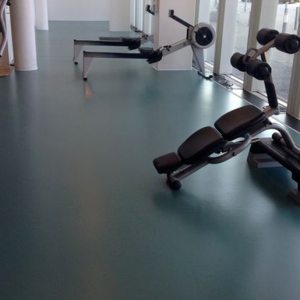 Rubber flooring in solid colour with round studded surface and roughened underside for adhesive bonding. 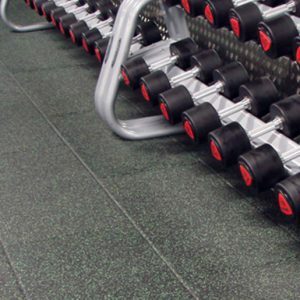 SPORTEC® colour is a rugged, easy-to-clean and water-repellent floor covering material for use in fitness and gym facilities, retail outlets, exhibition halls, equipment storage rooms and ice sports stadiums. Thanks to its excellent durability and high resistance to mechanical wear, SPORTEC® colour is the all-rounder solution for rubber flooring. Choose from a range of colours and hues to create a room that matches your colour scheme, offers great walking comfort and absorbs impact and room noise. 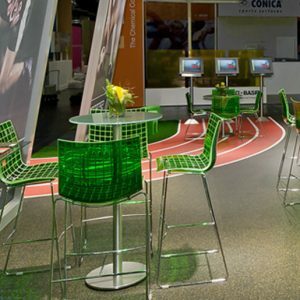 SPORTEC® purcolor is the ideal flooring material for offices, retail outlets and other frequently used rooms. Thanks to its strong colours, it can be perfectly matched to the interior design, while offering effective impact and room noise reduction and improved walking comfort. It is recommended for most applications to apply a coating material to the surface of the SPORTEC® purcolor floor covering. Benefits of a using a sealer include easier cleaning and a longer lasting time of the colours. SPORTEC® style protects subfloors from damage by falling heavy objects, e.g. in weightlifting areas of fitness centres or training facilities. 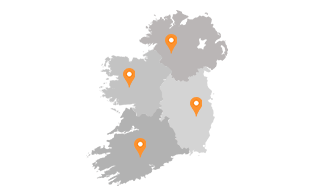 Even if not themselves damaged by falling weights, conventional floor surfaces transmit impact shock which often results in serious damage to the concrete subfloor. SPORTEC® style avoids this deep-impact damage while providing outstanding sound deadening as well. SPORTEC® style can be used as an underlay under all SPORTEC® flooring materials. 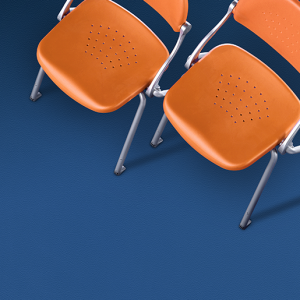 SPORTEC® variant floor coverings are available in virtually unlimited colour combinations from the EPDM colour range. Choose one of four attractive standard colour designs or mix your own floor colour. The surface of the substrate has to be brushed fully. It must be clean and free of any other pollution before starting installation. Minor unevenness must be levelled e.g. with a liquid filler compound before starting with the installation.